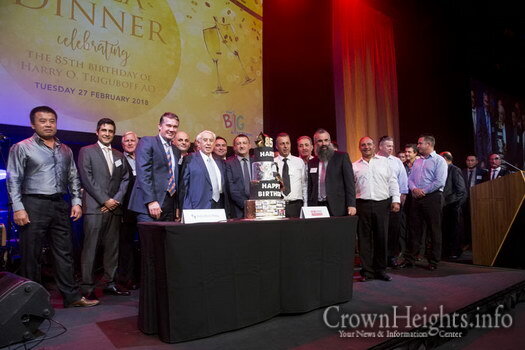 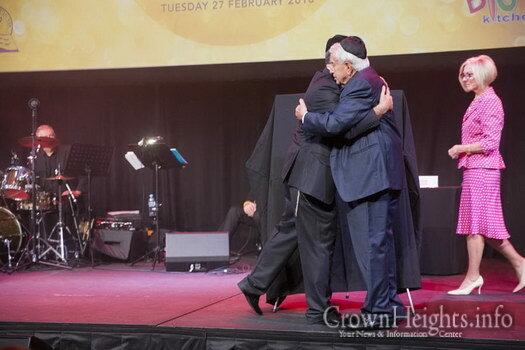 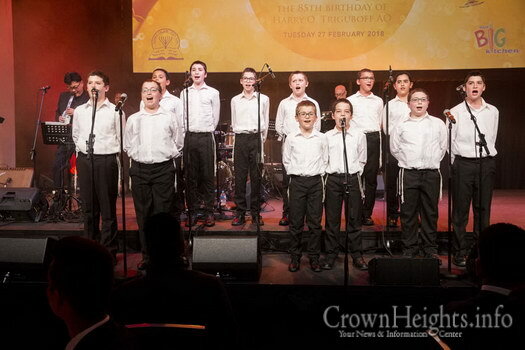 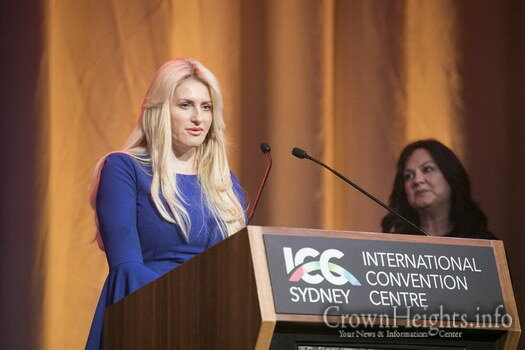 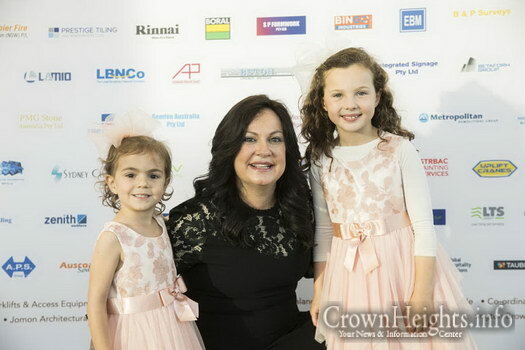 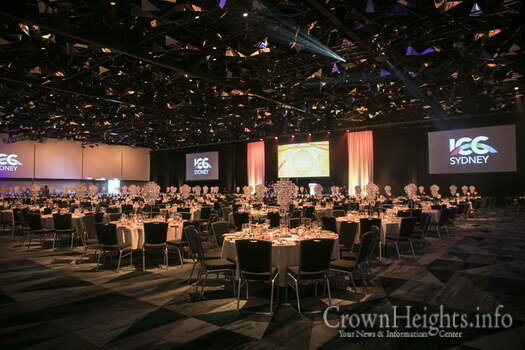 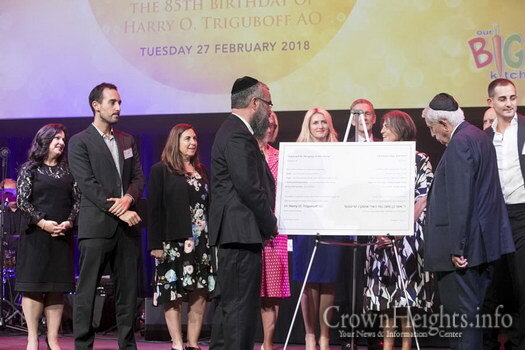 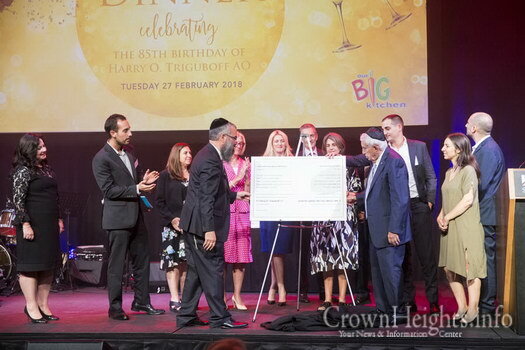 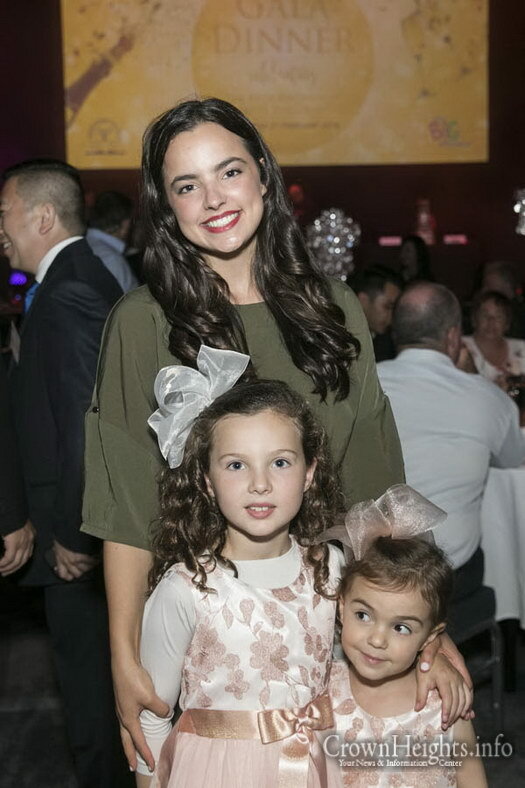 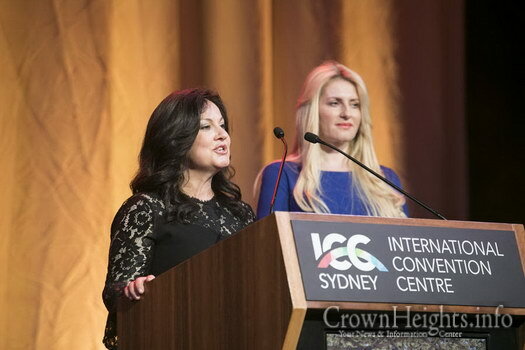 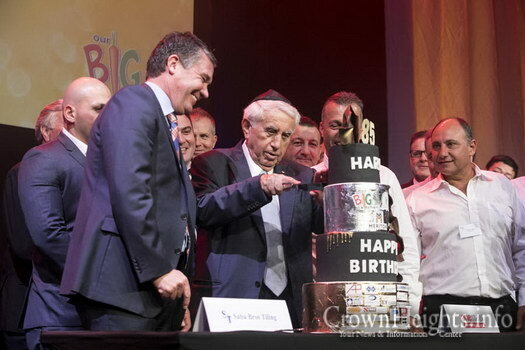 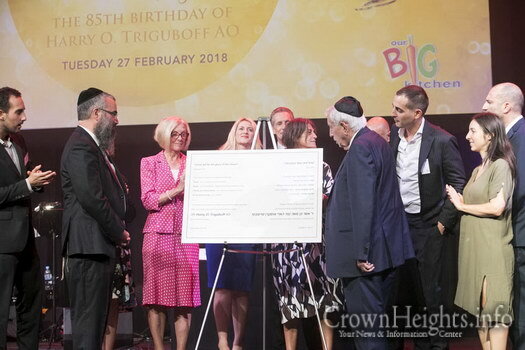 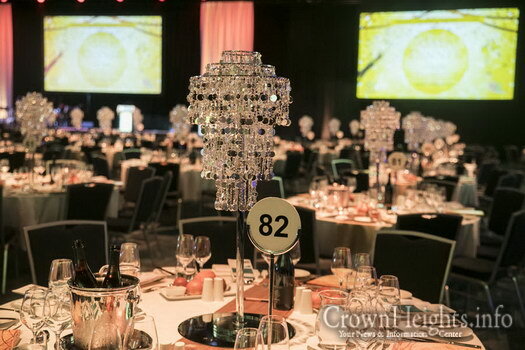 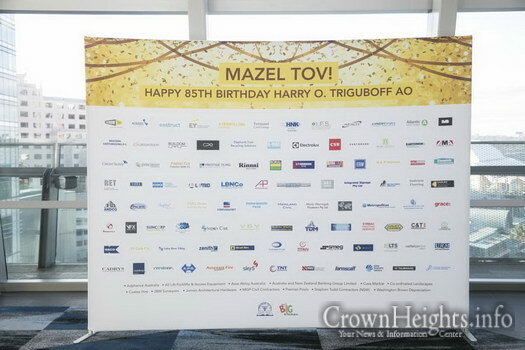 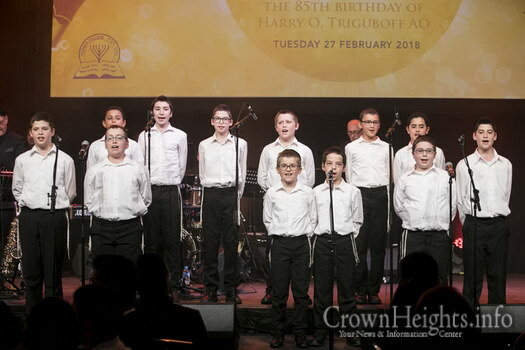 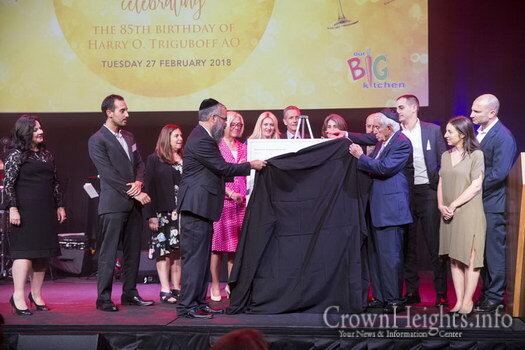 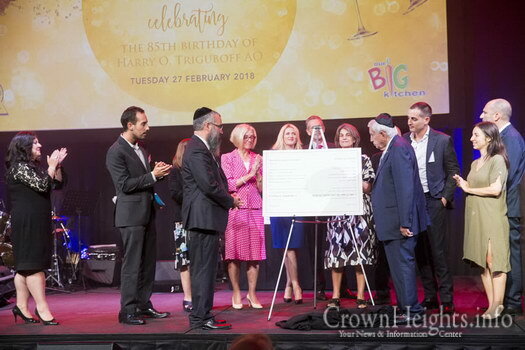 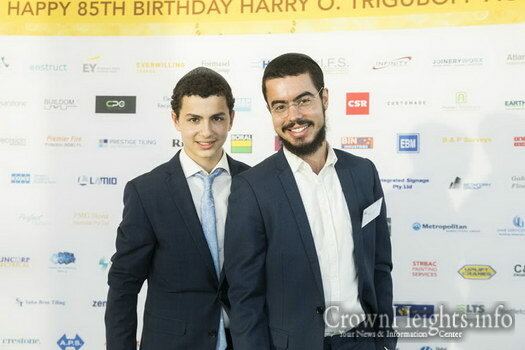 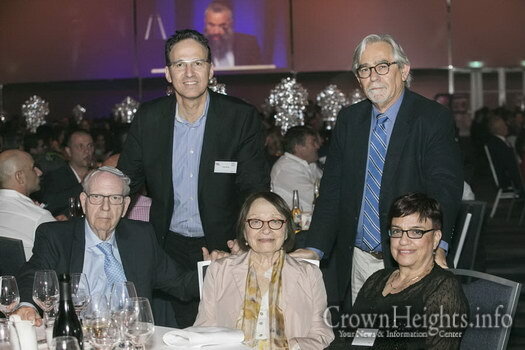 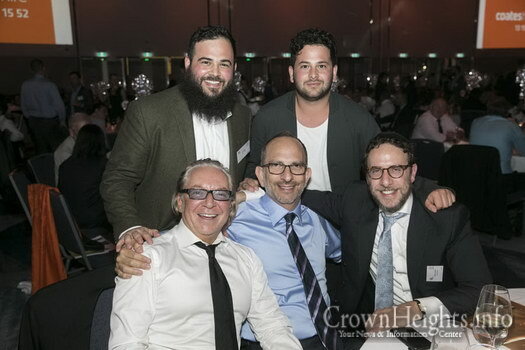 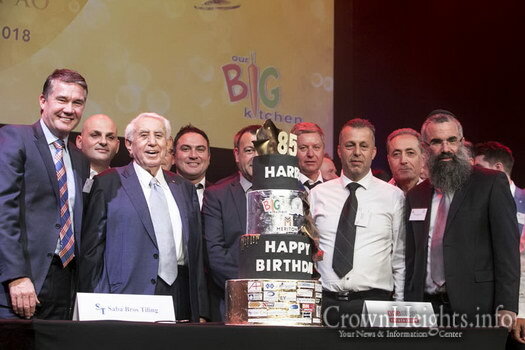 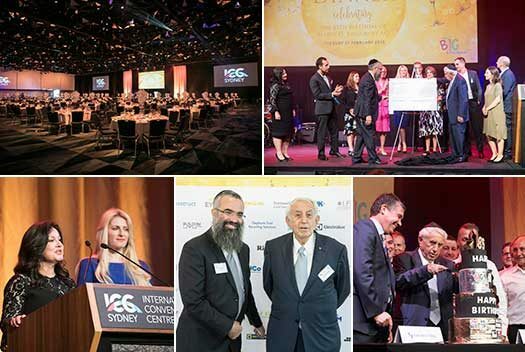 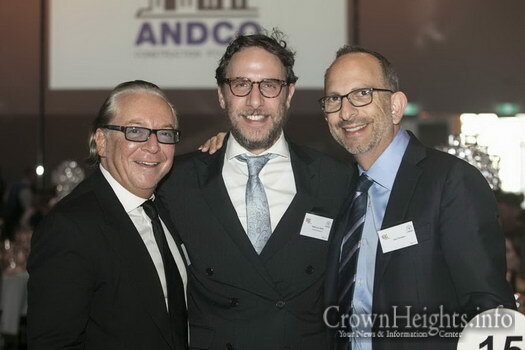 Yeshiva College and Our Big Kitchen hosted their annual Gala Dinner at Sydney’s International Convention Centre, in honour of Harry Triguboff’s 85th birthday. 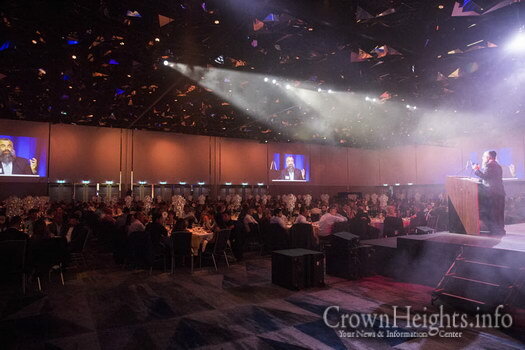 Over one thousand guests attended the event . 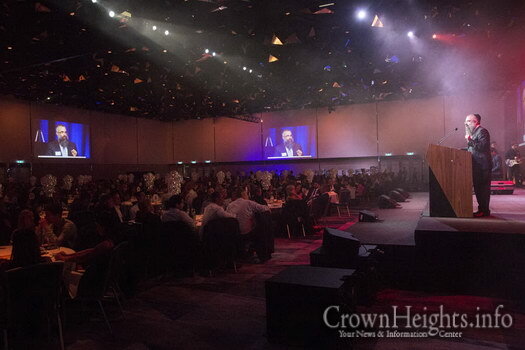 Comedian Vince Sorrenti, opened the gala dinner with a bang, brightening the mood and setting the scene for what turned out to be a very special night. 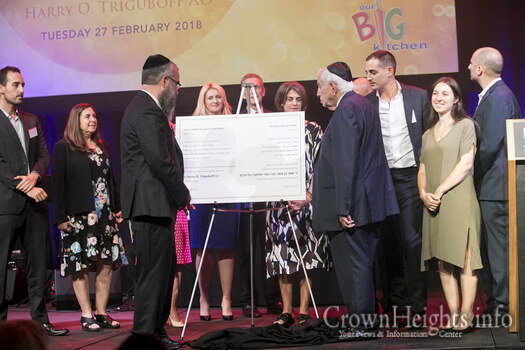 After a short video showing the contribution of Yeshiva College and Our Big Kitchen to the community, Harry Triguboff, major sponsor of the event, took the stage to thank everyone for their attendance and spoke thoroughly about his relationship with Yeshiva and Our Big Kitchen. 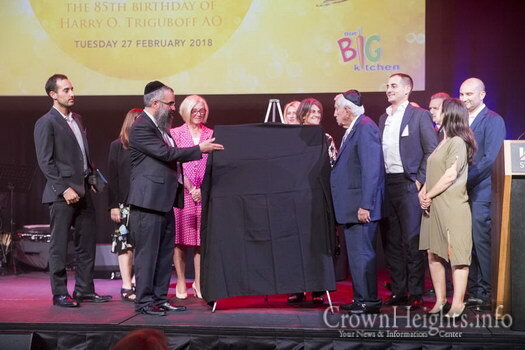 Over the years Triguboff has clearly gained a great deal respect from many people in business which was evident by the support he received during the evening. 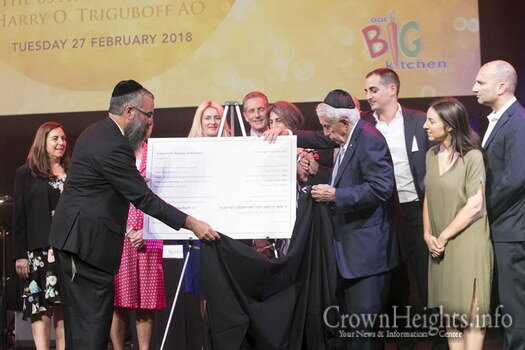 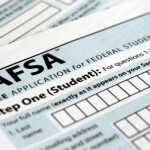 Harry Triguboff stated that the more things he sees Our Big Kitchen and Yeshiva College achieve, the more he wants to extend his charitable hand. 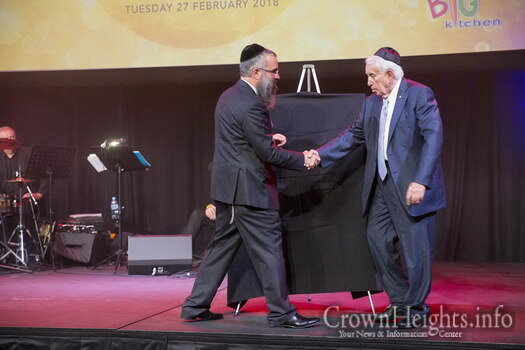 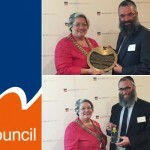 CEO of OBK Rabbi Dovid Slavin thanked the many workers and tradespeople who dedicated their time and effort to build the community centre and for support to the Jewish Community. 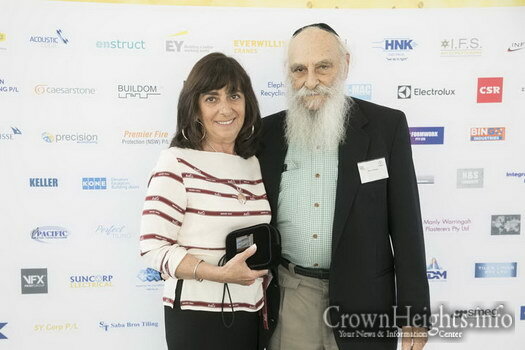 Rebbetzin Laya Slavin spoke of her husband ‘s work he has done for the community, while Faye showed her gratitude to Harry Triguboff. 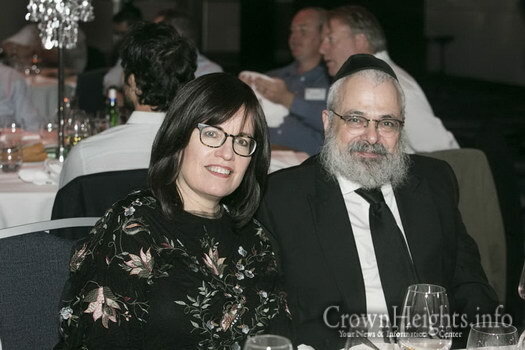 She spoke of the assistance he has given to the Jewish community, helping people from all walks of life to be able to acquire a Jewish education. 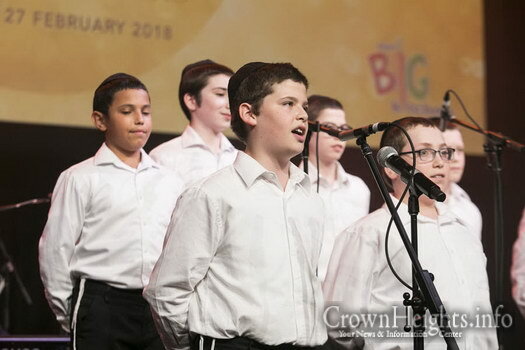 Performers from Yeshiva College provided entertainment with a talented 12-year-old playing beautiful songs on the violin. 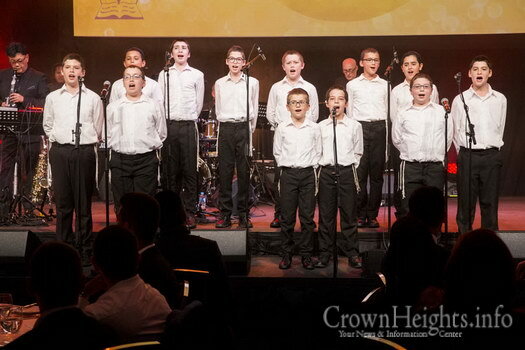 After his performance, guests were then treated to a passionate performance by an all boys choir from the College. 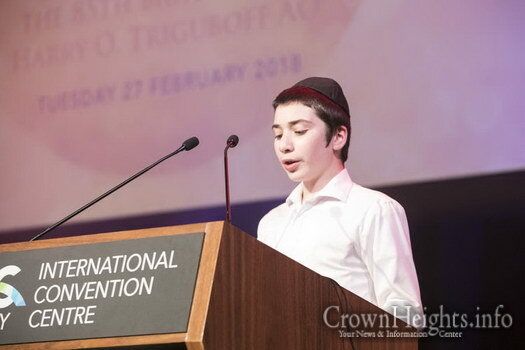 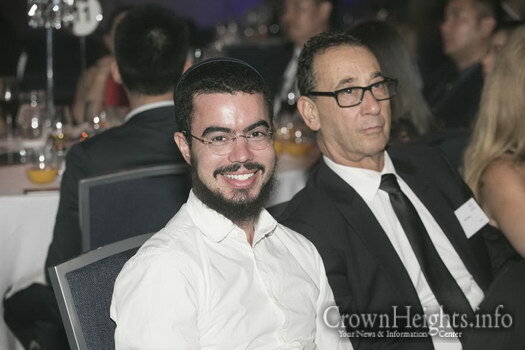 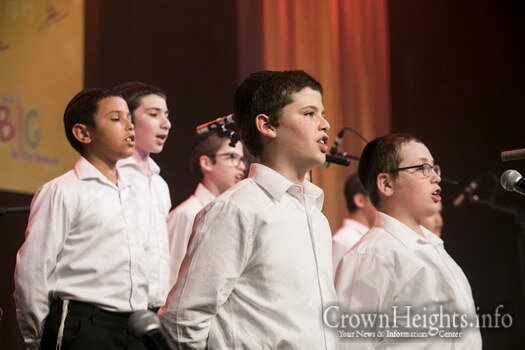 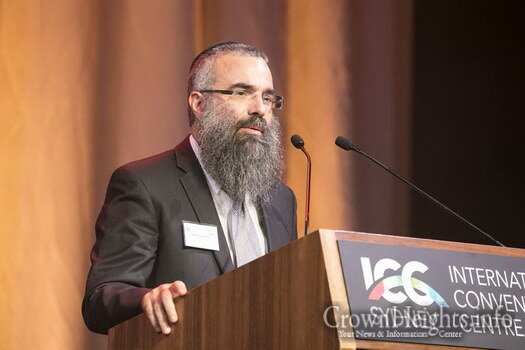 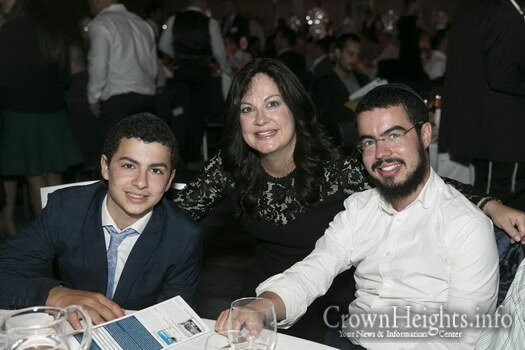 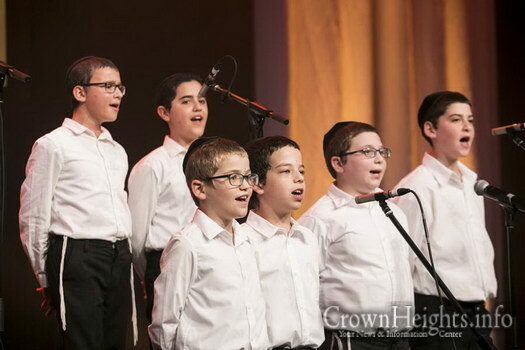 Yehuda Leib Kaye, a student at Yeshiva College and a member of the Yeshiva’s boys’ choir, spoke of the importance of Jewish education, as well as his own experiences as a young Jewish boy growing up in Sydney. 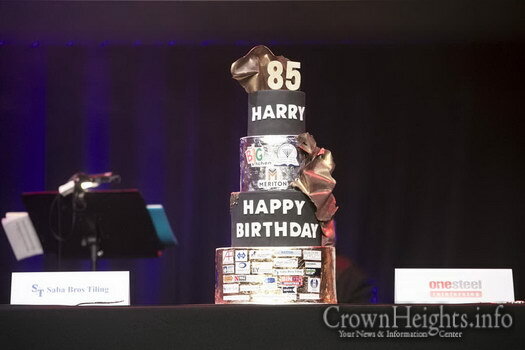 He stated how grateful he was for the opportunities that have been afforded to him due to Harry’s generosity. 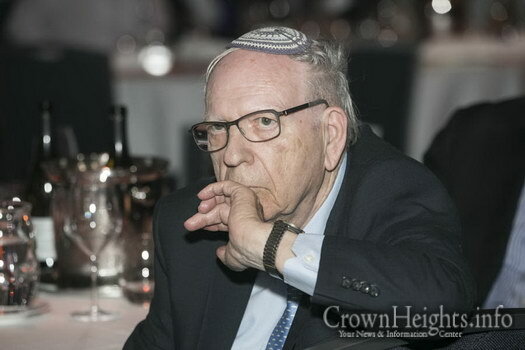 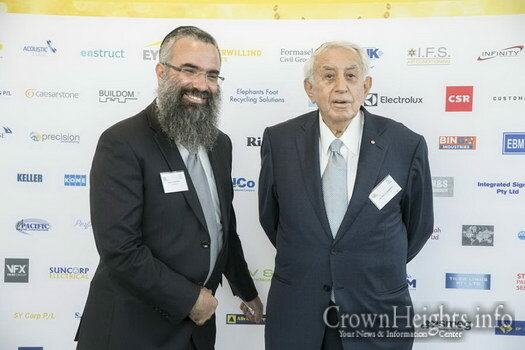 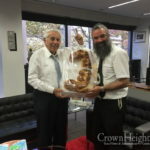 Rabbi Dovid Slavin told J-Wire that the complex in Bondi’s Flood St which houses Our Big Kitchen, a synagogue, The Yeshiva College and a mikvah will be known as The Harry Triguboff Centre in gratitude to its major benefactor. 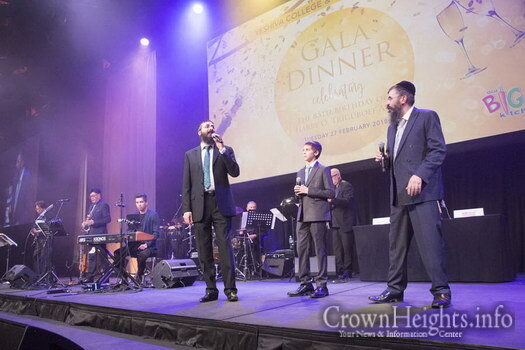 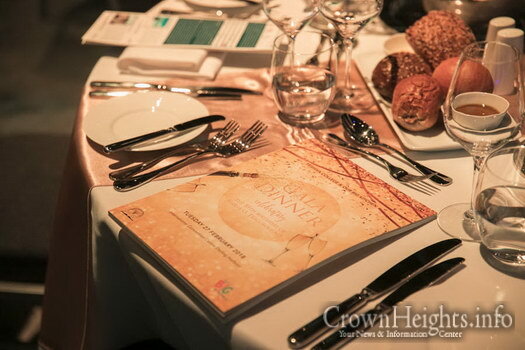 The Gala Dinner is held annually by Yeshiva College and Our Big Kitchen to raise funds and to thank the ongoing support of various organisations that continue to help its growth. 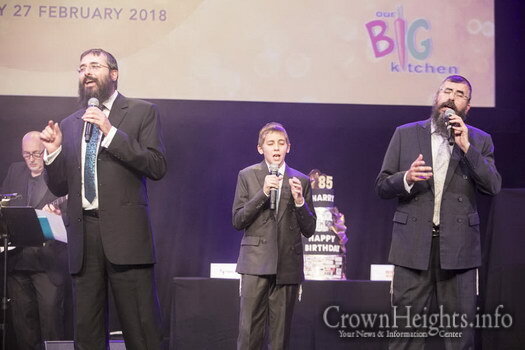 I would love to see a video of the Niassoff’s performance!